Mention Bamford Watch Department and you’ll get mixed looks from watch lovers. 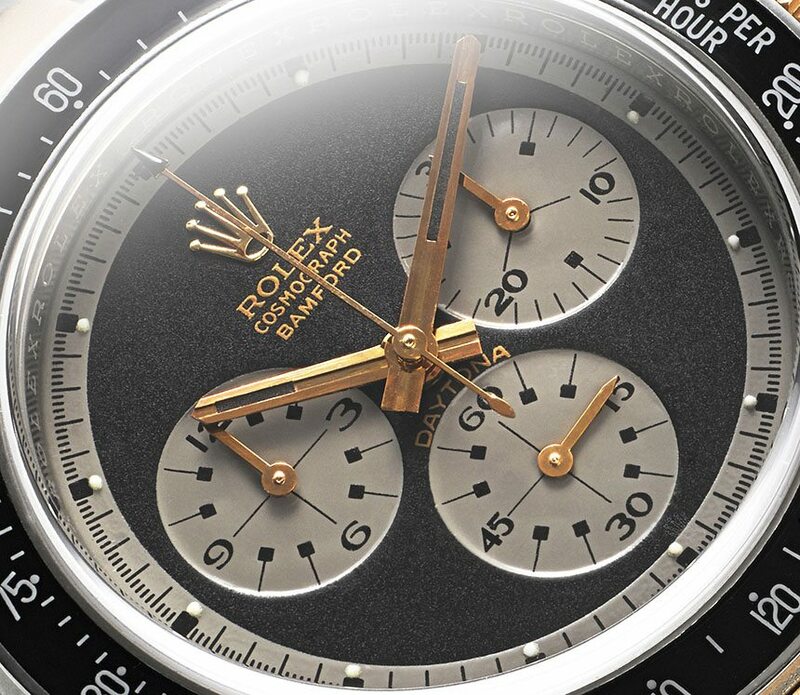 Understandably, there are those who think that customizing a Rolex is almost sacrilegious. On the other hand, there are those who defend Bamford and insist that they provide a cool option for watch lovers who love Rolex but want something a little different, for a variety of reasons. I’m not a fan of all of their work, but I’m quite fond of their new Heritage collection. Clearly, I’m not alone, because in just the short span of a few months since its introduction, Bamford is bolstering their Heritage collection with two more watches – the Bamford Heritage Explorer I and the Bamford Heritage Bicolor Paul Newman Daytona watch. The Heritage collection is new to Bamford and was only released earlier this year. 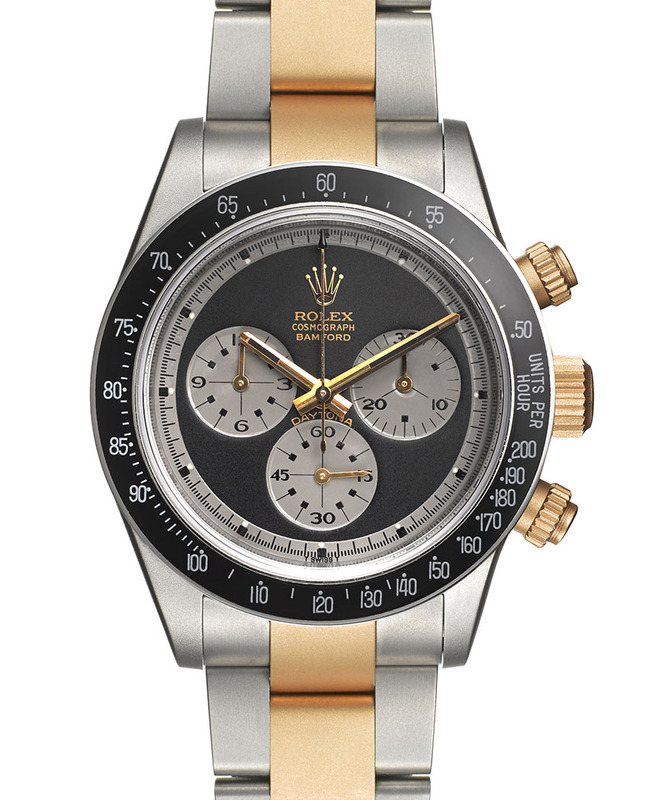 As its name clearly suggests, it’s inspired by the looks of vintage Rolex watches. As an example, one of the earlier Heritage watches is the Bamford Heritage MilSub that’s unmistakably inspired by the vintage MilSub made by Rolex in the Seventies for the British Ministry of Defense. It’s a wonderful marriage of the old and the new. 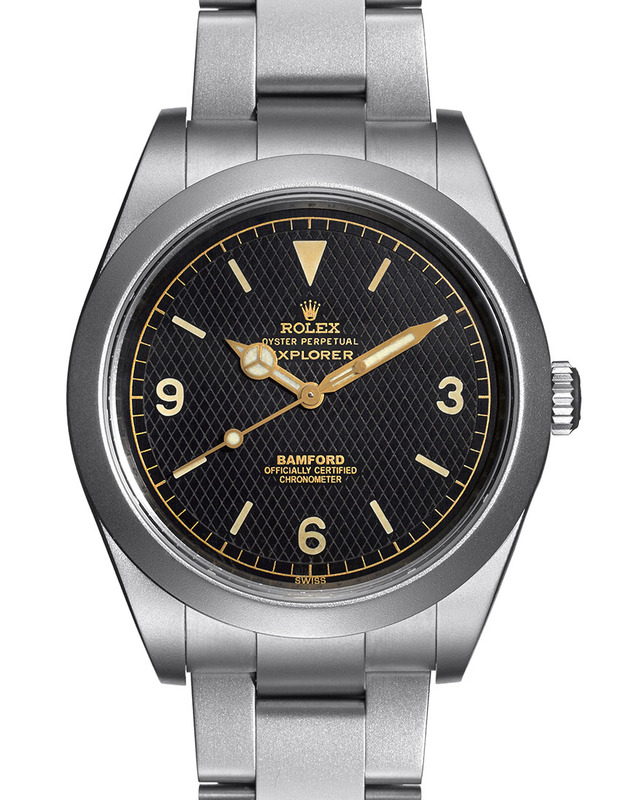 Joining the pack is the Bamford Heritage Explorer I, which draws ideas from the vintage Rolex Explorer I ref. 6350. Many of the lovely traits of the vintage Rolex Explorer I 6350 are found on this watch, including the glowing warm look of the gilt dial, the 3-6-9 dial configuration, and the unique textured honeycomb lattice dial. 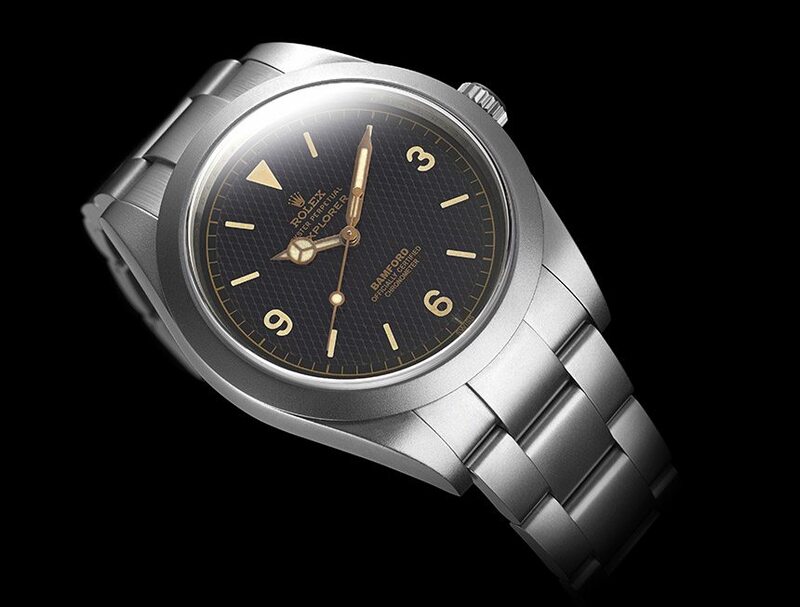 The honeycomb dial is a nice touch because it was only found on rarer versions of the 6350 Rolex Explorer. Other features that the Bamford Heritage Explorer I has that are shared with the vintage 6350 Rolex Explorer include the lollipop seconds hand and the large oversized crown with no crown guards. The other watch to join the Heritage collection is the Bamford Heritage Bicolor Paul Newman Daytona, and it’s a modern take on the vintage Paul Newman Rolex Daytona. 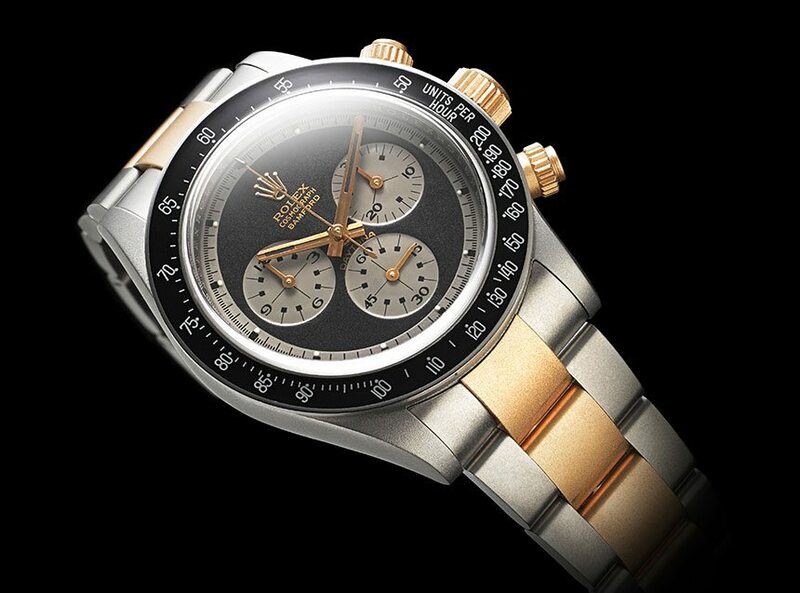 While the Bamford Heritage Bicolor Paul Newman Daytona retains the Paul Newman’s signature subdials with distinctive markers, it adds gold hands, crown, pushers, and center links on the bracelet for a very bold and, I think, very cool look. 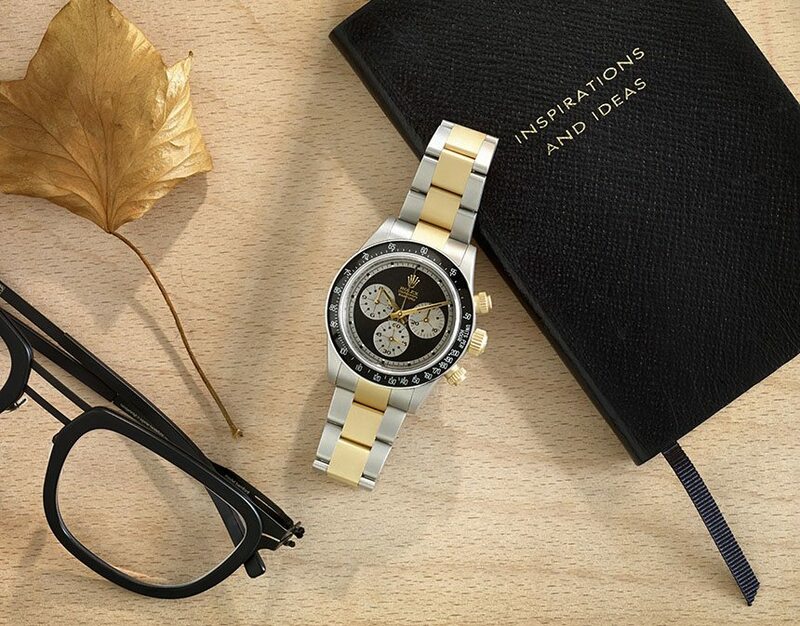 The Bamford Heritage Bicolor Paul Newman Daytona is obviously based on Rolex’s existing Daytona model. As such, it’s powered by Rolex’s almost legendary caliber 4130 movement for peerless timekeeping. The case is 40mm wide and, like the Bamford Heritage Explorer I, has been given Bamford’s light grey Military Grade Titanium Coating. Like all of Bamford’s watches, these new Heritage watches will be divisive. 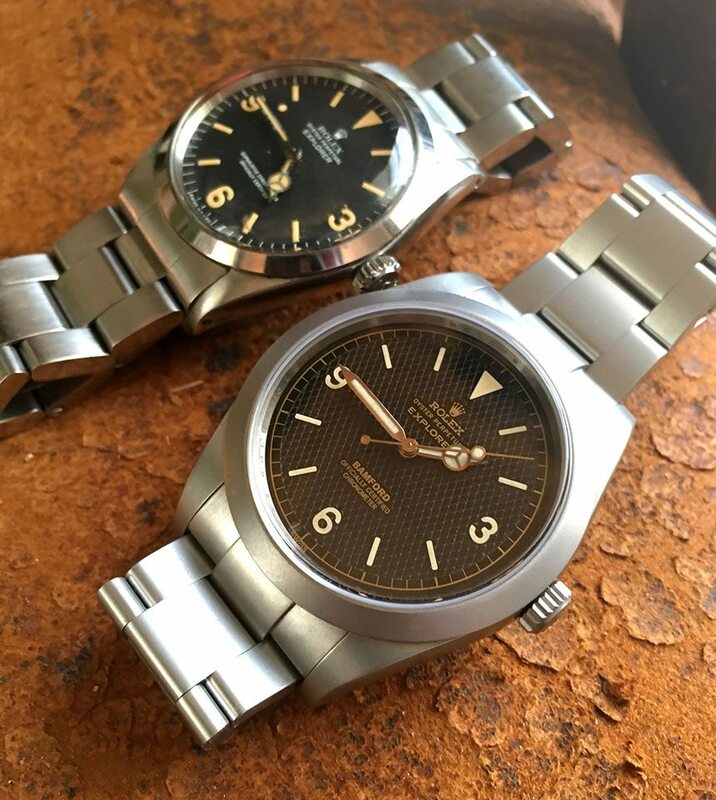 I can already hear naysayers cry, “As if butchering a Rolex isn’t bad enough, these watches are copying from vintage Rolex watches!” They have a point, but the way I see it, it’s a way for vintage Rolex owners to own something that looks like a vintage model from Rolex (and it actually is a Rolex underneath) that’s freshened up without being a totally blacked-out Bamford.